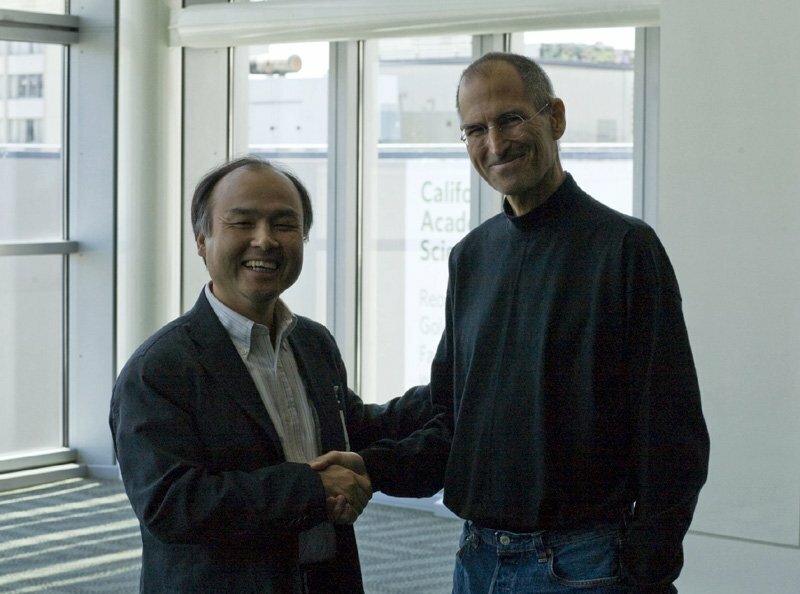 In an interview with Bloomberg's Charlie Rose, Softbank's founder and CEO Masayoshi Son said he got the exclusive rights to sell iPhones in Japan after he showed Jobs' a rough sketch of "an iPod with mobile capabilities". Son had approached Jobs a couple of years before the Cupertino-based company even announced the existence of the iPhone, bringing along a drawing of what he thought an Apple phone should look like. But of course, the iPhone was already in development, and Jobs showed little interest in Son's design. "Masa, don't give me your drawing. I have my own", he said. For Son, the design was never a priority. He actually wanted exclusivity of the product in the Japanese market. Jobs informally agreed to it on that meeting but was hesitant to make it official because Son didn't even had a mobile carrier yet. In 2006, Softbank bought Vodafone Group's Japanese unit for $15 billion, and Son got what he wanted. The Japanese company in 2008 announced an exclusive deal with Apple to sell the iPhone. In the interview, Son also recalled a meeting with Tim Cook that was cut short because Jobs, who died the next day, wanted to talk about an unannounced product. In order to make a global impact, Softbank, the No. 3 Japanese carrier, last year acquired the No. 3 US carrier Sprint for $21.6 billion. The company is also trying to buy T-Mobile US and merge it with Sprint. Ever since the iPhone debuted in Japan its popularity has grown leaps and bounds. In October last year, Apple's iPhone 5s and 5c grabbed a 76 percent share of overall sales, which means that three out of every four smartphones sold in Japan were iPhones.